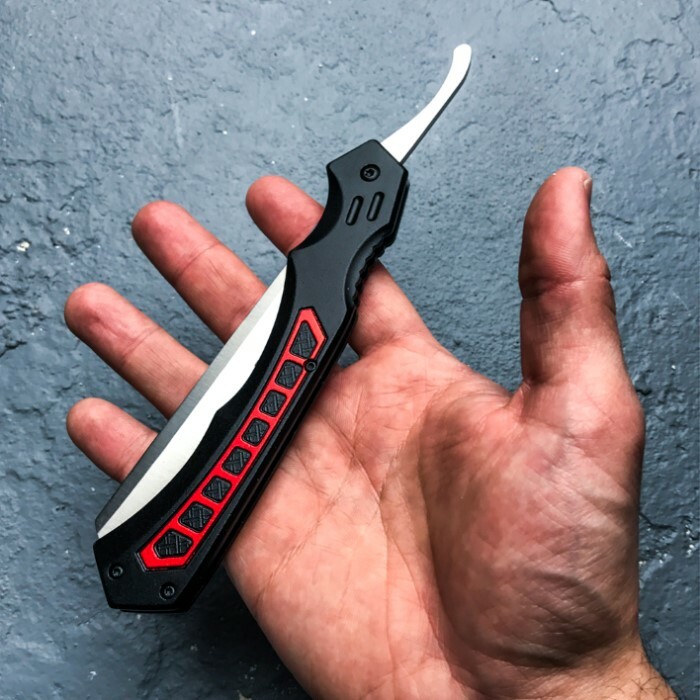 MTech Red-Tech Manual Opening Razor Pocket Knife - 3Cr13 Stainless Steel Blade, Aluminum Handle - Length 10 3/4” | BUDK.com - Knives & Swords At The Lowest Prices! 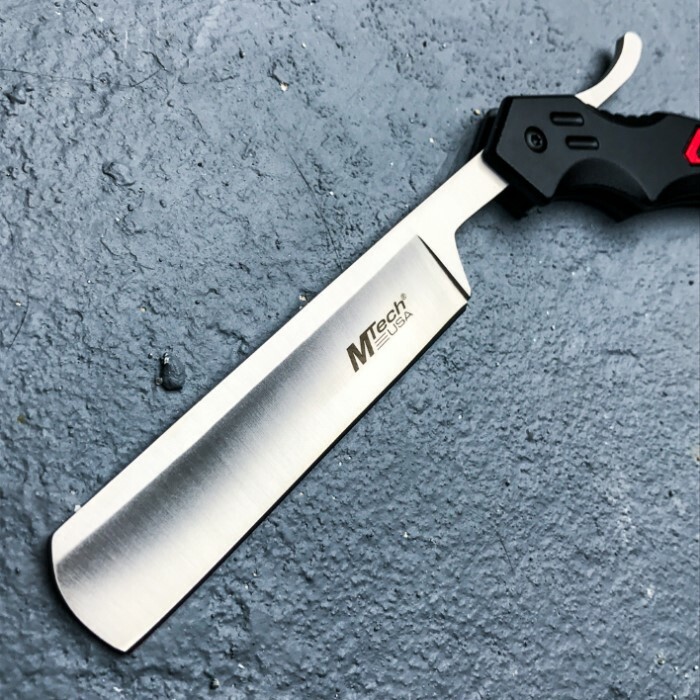 The MTech Red-Tech Manual Opening Razor Pocket Knife is the high-tech evolution of the traditional barbershop straight razor blade. 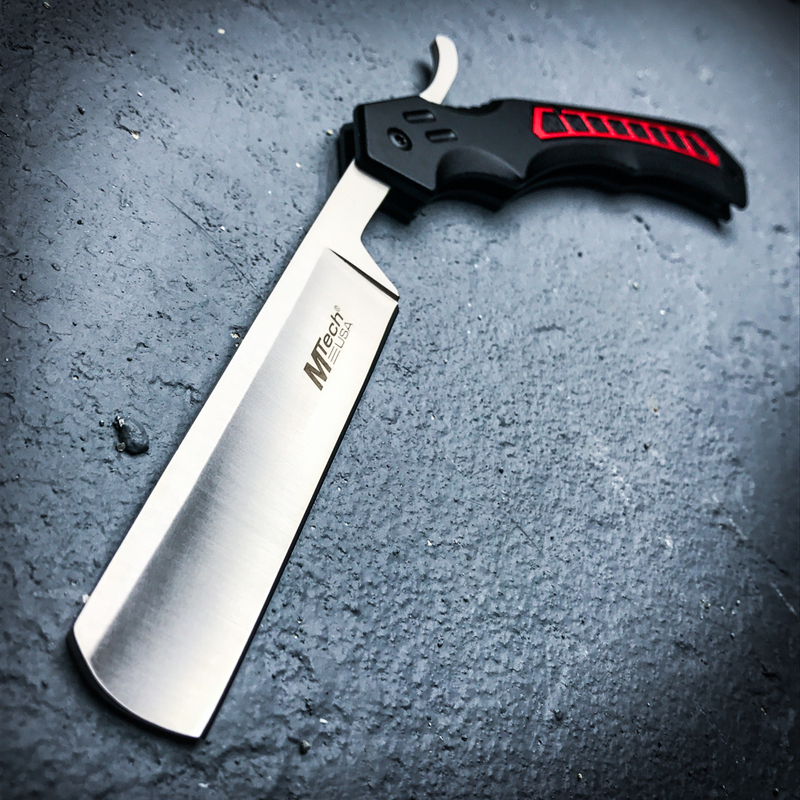 The pocket knife has a 4 3/4" 3Cr13 stainless steel straight razor blade, which can be smoothly accessed manually with the extended tang. 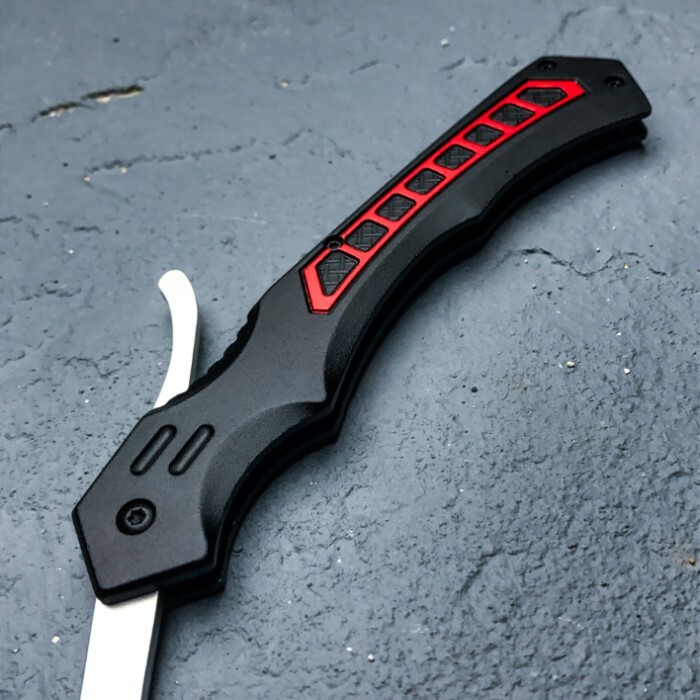 It has a black anodized aluminum handle with a red aluminum accent to continue the high-tech look and thumb jimping for maximum control when using.